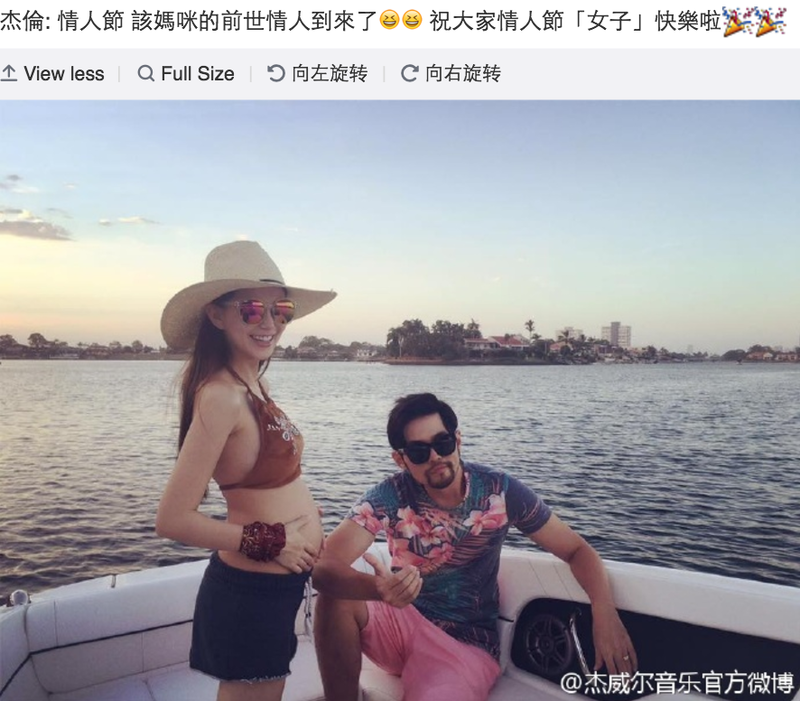 Jay Chou shares a sweet surprise on Valentine's Day after posting a picture of his wife Hannah Quinlivan showing off her baby bump. He writes, "Valentine's Day, the mother in question's lover from the previous life is coming. Wishing everyone (women) a happy valentine's day." I almost missed his roundabout way of announcing the gender as well but yes, it's gonna be a boy! On January 17, 2015, the couple tied the knot in a fairytale wedding at Selby Abbey, England in one of the more extravagant weddings that became the talk of the town back then. They welcomed their baby girl Hathaway on July 10, 2015 and have been wanting a boy next and soon, so a big congrats to the happy couple for getting their heart's desires.